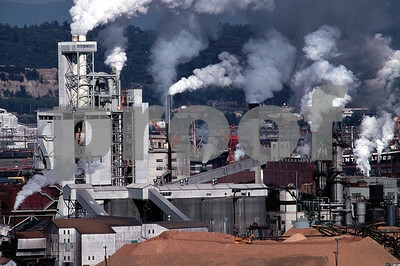 A focus on man's development of the planet and the consequences. A pulp plant in Tacoma, WA in the early 1970's. 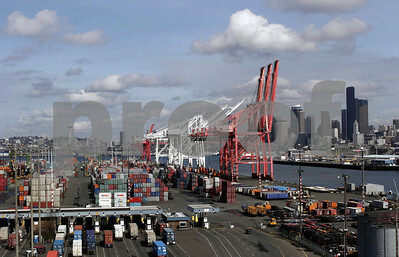 The Port of Seattle and the Duwamish River waterway. 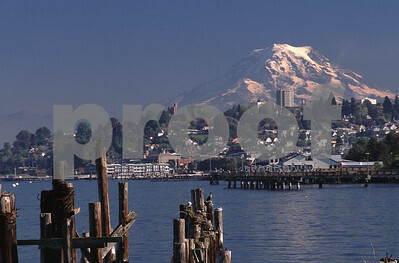 Creosote laiden pilings in Commencement Bay with Tacoma, WA and Mt. Rainier in the background. 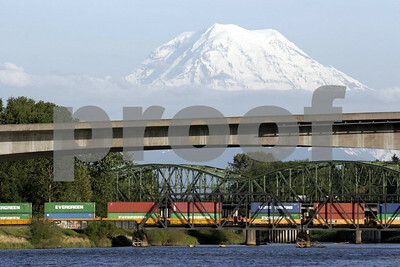 Multiple bridges over the Puyallup River in Tacoma, WA with Mt. Rainier in the background. 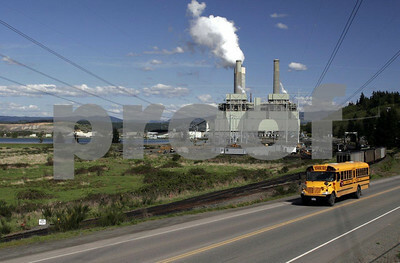 A school bus passes by the Centralia Steam Electrtic Plant fed by an open pit coal mine. 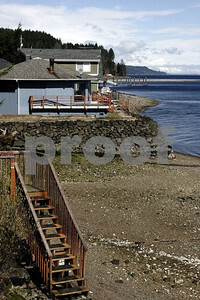 Houses built on the shores of Hood Canal in WA state, all on septic tanks that contribute to depleted oxygen levels that are harmful to salmon. 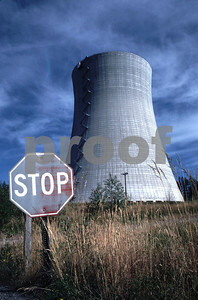 A stop sign near the Satsop Nuclear Plant cooling tower....a project that was never completed...near Elma, WA. 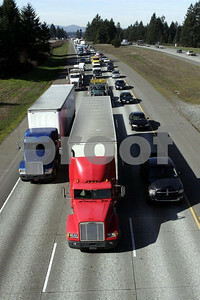 Truck traffic on Interstate #5 in Lacey, WA. 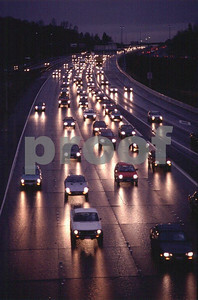 Car traffic on a rainy night on Inerstate #5 in Olympia, WA. 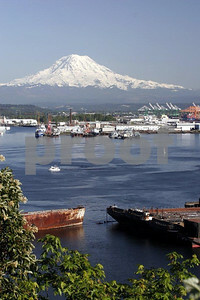 The Port of Tacoma and Commencement Bay with Mt. Rainier in the background. 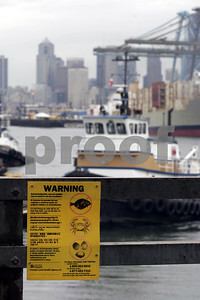 A sign in multiple languages advises readers of the dangers of consuming fish and shell fish in the Duwamish River waterway in Seattle, WA.